For Nisha, who stepped away from her lucrative and long-lasting career in law to invest in her passion for Indian food, as manifested in the publication of three successful cookbooks, her popular YouTube Channel and smattering of television appearances, she is evangelical about bringing traditional and authentic Indian cooking to the British High Street. Moved by a desire to simplify the narrative and perceptions that surround the cuisine, Nisha’s restaurants pervade warmth and comfort, a sentiment so pertinent and welcomed in modern times, as diners seek out experiences that nourish and replenish. We recently caught up with Nisha to find out about the challenges she has faced in establishing her own brand, how she creates a home from home in her restaurants and why she wants to demystify the dark complicated culinary art of curry. Where did your passion for Indian cooking originate? I have always been obsessed with the way nations cooked. The anthropology and social genesis of what they created and how they created it. My love of food combined with my forensic love of analysing what makes people tick was beautifully meted out in the journey towards my first book Pimp My Rice. I found myself planning holidays primarily around the food offerings of the destinations. China, Laos, Vietnam, South Korea, Morocco, Italy, Poland, Hungary, the list was endless. During your career in law you still made time to pursue your passion for Indian cooking, what was the catalyst that moved you to establish Mowgli? There was always an eddy that ran alongside my love for the law. It should have been a silly daydream, but it became loud and bold. It related to the base matter of real Indian food which, in Britain, sits in a shrouded and misunderstood corner. I wanted to build a restaurant that was modelled on an Indian home kitchen and this swirling mission would not let me sleep. I was evangelical about lifting the veil on what Indians would conjure as a dark complicated culinary art. It was 3 spices; any child could pick it up in an hour. This is what I wanted to show. The idea of the restaurant haunted me - I had these desert island dishes that I was pathologically addicted to, so would the British public feel the same? Why did the name Mowgli resonate with you? Mowgli is a pet name I have for my two girls which literally means “feral child”. As a businesswoman and a mother, I had to make sure my daughters loved Mowgli as a sibling - they chose the logo and ultimately, she is named after them. What was the reception like when you opened your first restaurant? 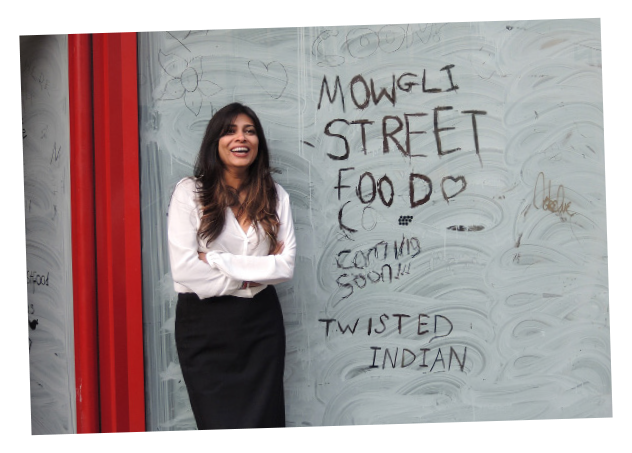 I myself opened the first Mowgli back on Bold Street Liverpool in 2014 when I was still working full time as a Barrister. Having been priced out of a local shopping centre, I began to look in the hinterlands, the bohemian districts of Liverpool and found the site and a landlord that would take a risk. I risked the roof over my head and all my security in launching Mowgli with her weird vegetarian focused dishes in a city that was just riding the crest of the dirty burger movement. Liverpool with her open mind and open arms took this food and ran with it. People would wait up to 2 hours for a table! As a budding female entrepreneur, what challenges have you encountered while establishing your brand in the food and drink scene? Having been the first female Asian barrister in Liverpool, I’ve developed quite a thick skin, reflecting the resilience that many second-generation immigrants feel. I am very conscious of the pressures that women face today. During the building of Mowgli, at times I was met with disdain from friends and family as I threw myself into the business, which resulted in less time with my two daughters. It struck me that if I were the husband, or simply the man, I wouldn’t receive this criticism. Unfortunately, in this day and age, I still must fight my corner as a business woman, and I do this all the time thinking of my children. I would hate for my girls to cow away from success or a challenge, so I hope that in time this becomes less of a stigma. I attend commercial conventions and functions and I am frequently one of a small handful of women there. Women are simply underrepresented in this industry. It seems that life in hospitality is demanding and punishing. This precludes those who want a family and some semblance of normal family life. Women who start in the ranks and taste this rigour often drop out before they reach the higher levels, the directors, the CEO's. What have your biggest lessons been from working in the hospitality industry over the past five years? We are only as good as our last dahl.... We rely hugely on feedback from our customers. They are our biggest critics and it is an honour to feed them so we have to get it right! How are you working to make Mowgli stand apart from other similar brands or concepts? Mowgli is about being a home from home for our guests. 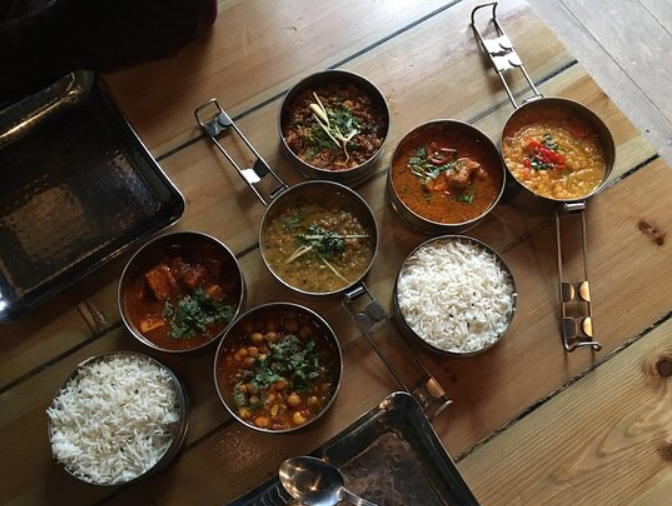 Our tiffins are not your typical copper curry dish and the names of are dishes are a far cry from that which is pedalled in ‘traditional’ curry houses- so much so that big brands are trying to nab them! Mowgli is about how Indians eat at home and on their streets. 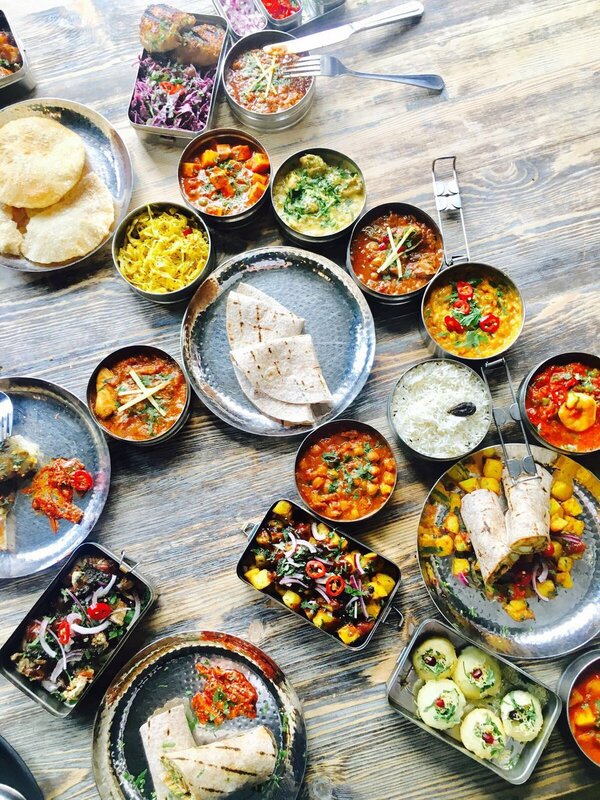 Our food is fresh, light, delicate and extremely healthy which are not words the UK would ever associate with “curry”. Food can be a great way of bringing people together, of creating community and togetherness, how does your offering do this? Mowgli is food from the heart and from the soul. It is my ancestry on a plate - wholesome, nourishing and shared. My offering to you is my love and my passion. Our dishes are smaller than your average great big plate of Vindaloo so it’s all about sharing; a little bit of this, a little bit of that. From a design aspect, it’s my aim to create a home from home in the restaurants. I meticulously design every Mowgli inspired by the broken-down temple behind my Grandmother’s Varanasi home. I have such vivid memories of these vine covered temples behind her house. Wild monkeys roam free there, so the iconic monkey for me is a symbol of my childhood and the food heritage of which I am totally obsessed. The monkey climbing the brick wall, the endless twines and vines and chaos. It is around these elements that I design every site. It’s not grand or plush but its honestly home. Can you sum yourself up in one sentence? Curry evangelist and mother to Mowgli.